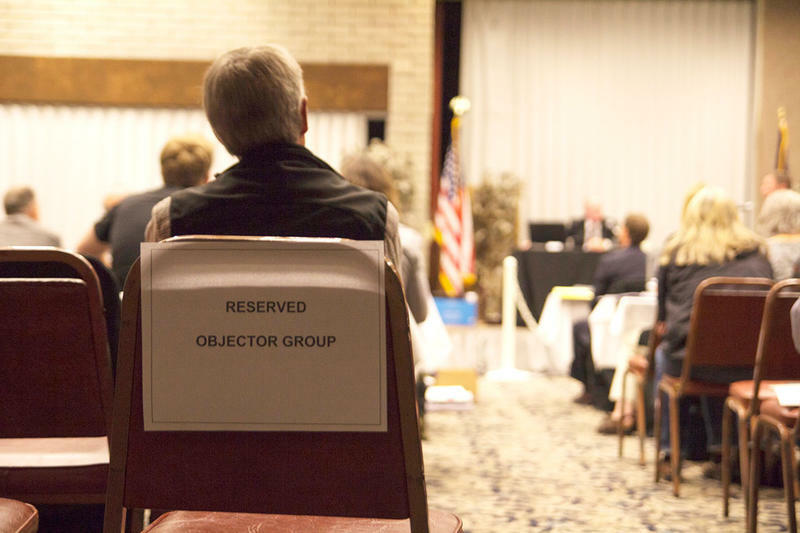 One section reserved for objectors at the September 19 public hearing on the proposed Creston water bottling plant in Kalispell. 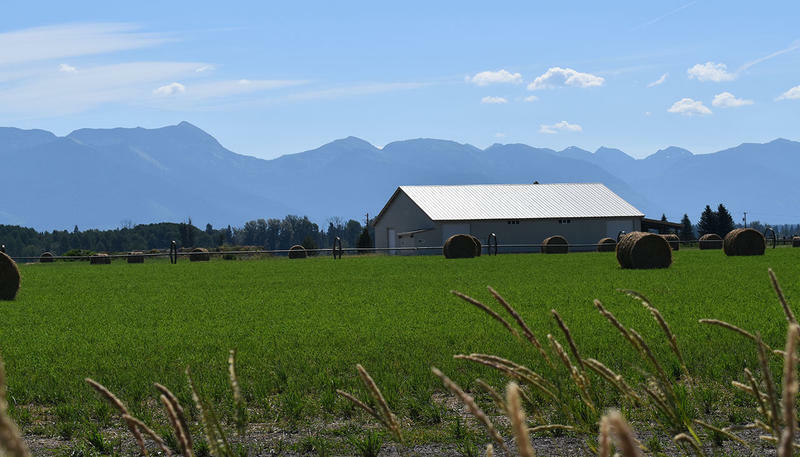 The owner of a company proposing a much-contested water bottling plant in Creston in the Flathead Valley won't be compelled to testify before the Montana Department of Natural Resources and Conservation. A September 19 hearing on Lew Weaver’s proposed plant saw hours of testimony, but not from Weaver, who was suffering health problems at the time. The hearing record was kept open, however, pending his ability to testify. Yesterday the DNRC’s hearing examiner ordered that the record would be closed without Weaver's testimony. Two years ago Weaver’s company applied for a permit to draw up to 710 acre-feet of water a year, which the DNRC preliminarily approved. Neighbors and others in the valley objected, concerned that the permit was for several times larger than the plant Weaver has said he wants to open. Weaver's supporters say that he is facing undue resistance and has followed all requirements in his application process. Proponents and opponents have until the end of this month to file their closing briefs. After that the DNRC has 90 days in which to issue a final determination on the permit. UPDATE: Friday, September 22: The public hearing record remains open pending closing briefs from counsel and Montana Artesian Water Company owner Lew Weaver's testimony. Weaver's testimony is optional to the proceedings. The DNRC's 90-day decision period will not commence until the record closes. Hearing examiner David Vogler will meet on a conference call with the parties' counsel on Wednesday, Sept. 27 to determine next steps in this matter. 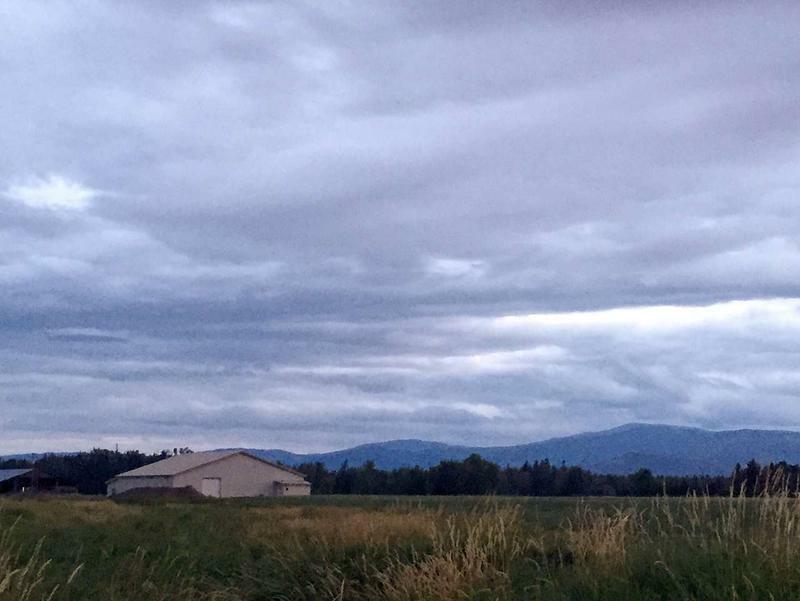 The second day of testimony in Kalispell today regarding a permit for a proposed water bottling plant in the Flathead Valley saw mostly expert witnesses. Montana’s Department of Natural Resources and Conservation is holding the hearings, and will determine whether to allow Lew Weaver’s Montana Artesian Water Company to draw up to 710 acre feet of water a year. A public hearing on a proposed water bottling plant in the Flathead Valley starts Tuesday morning in Kalispell. Montana’s Department of Natural Resources is holding the hearing to determine whether to grant a water right to the Montana Artesian Water Company. 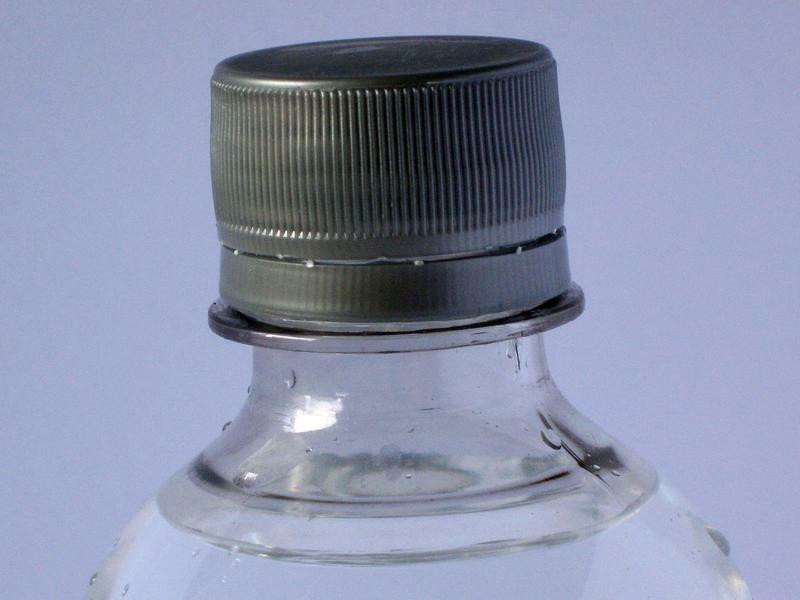 Plans for a water bottling plant outside Kalispell moved one step closer to fruition Tuesday. The Montana Department of Environmental Quality issued a wastewater discharge permit for the Montana Artesian Water Company. It’s one of two permits the plant needs to open.